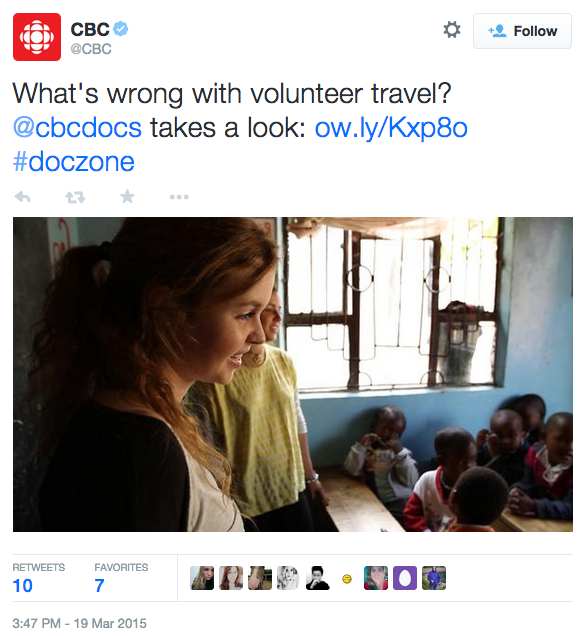 The doc, which promised a look at the “dark side” of the “problematic” volunteer travel industry, was promoted throughout the day: CBC teased it through their official twitter account while director Brad Quenville hyped it on local CBC radio shows across thecountry. 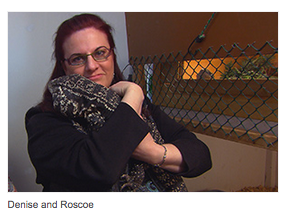 Instead, the CBC re-ran a doc called Wild & Dangerous: The World of Exotic Pets. 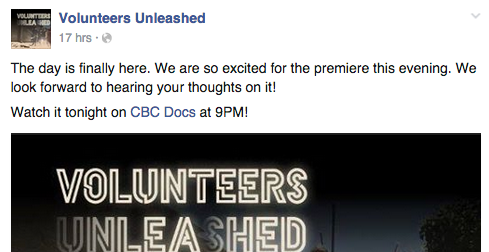 The CBC web page for Volunteers Unleashed vanished, as did the promo clip on this page. CANADALAND has learned that this is not the full story. 1.Volunteers Unleashed includes critical coverage of Me to We, the for profit counterpart of Free the Children, the massive charity run by Marc and Craig Kielburger. 2.Years ago, when Saturday Night Magazine ran a story questioning Free the Children’s fundraising methods, Craig Kielburger sued the magazine for libel, eventually settling out of court for $319,000 (Saturday Night is now defunct). 3. Yesterday Craig Kielburger wrapped a stint as a panelist on CBC’s Canada Reads. 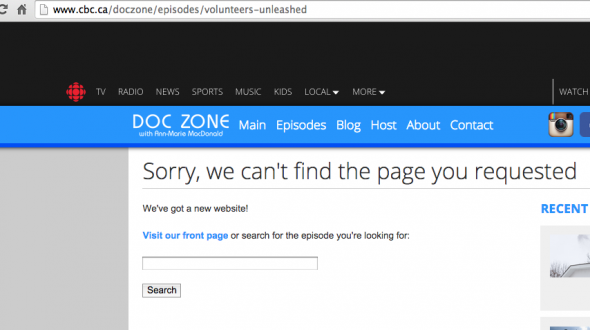 To be clear: CANADALAND cannot report any information at this point linking Craig Kielburger, Free the Children or Me to We to the disappearance of Volunteers Unleashed. We have requested comment from Kielburger, and will update our coverage when and if answers are provided.